Donald J. Trump’s famous resistance to saying he’s sorry for anything has come into play once again. The president signed an executive order that rescinds his policy that allows the separation of young children from their parents at the border. It was part of his “zero tolerance” policy on illegal immigration. He had said repeatedly that he couldn’t do it. He said Congress was the only authority that could change the policy. He blamed Democrats for enacting a law — that doesn’t exist! But … today he walked all of that back. The executive order was done by one man: the president. So, why doesn’t he just acknowledge he was mistaken? Why doesn’t he tell us that he had the authority all along? He doesn’t want to look “weak.” He doesn’t want to give anyone any ammo to shoot at him — politically, of course. But you know what? His refusal to acknowledge the obvious only gives his foes even more grist to use against him. Donald Trump wants to be seen as a strong leader. 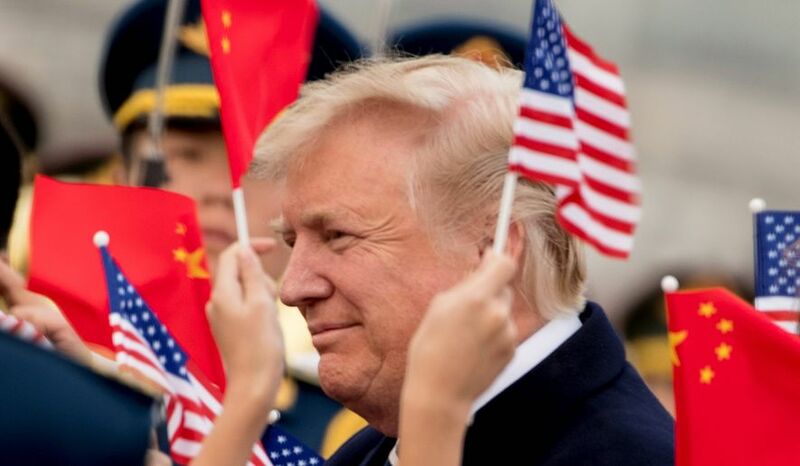 However, the president’s insistence on looking strong only weakens him. When do you recall this ever happening? 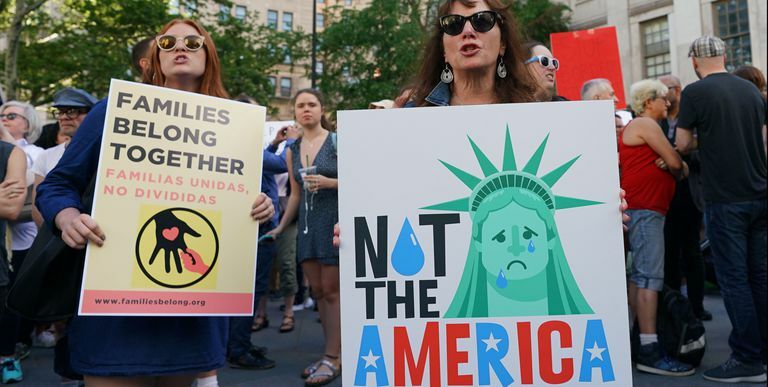 Five women who share a common bond have spoken out in virtual unison demanding that the presidential administration end a policy that has ignited a national firestorm over the way it treats families. I say “virtual unison” because one of those women — first lady Melania Trump — finds herself in the most awkward of spots. Her husband, Donald John Trump, is responsible for enacting the policy of yanking children from their parents as they enter the United States. Mrs. Trump has called on “both sides” to find a solution to the crisis. I’ll get back to her in a moment. The four former first ladies — Michelle Obama, Laura Bush, Hillary Clinton and Rosalynn Carter — have spoken out separately, but are saying essentially the same thing: The policy must end! Laura Bush calls the policy “immoral” and said it “breaks my heart” to see these children — many of them infants and toddlers — wrested from their parents’ custody and taken to virtual cages, where they are kept while immigration authorities sort out how to deal with their illegal entry into the United States. As for the current first lady, I recognize that she is hamstrung by the fact that she’s married to the man at the center of all this madness. I cannot know this as fact, but I only can imagine how the president might have reacted when he learned of the statement that came from his wife’s office about her desire to see this policy ended. The “both sides” element of Melania Trump’s statement suggests to me that it disguises her actual belief that the policy is wrong on its face and it needs to change … immediately, if not sooner. Sadly, the president isn’t inclined to heed anyone’s advice, let alone from his wife. Signs of cracking among the ‘base’? I am heartened to learn of some second thoughts among Donald J. Trump’s most ardent supporters regarding this ghastly policy of “no tolerance” along our southern border. It’s the policy that allows U.S. Border Patrol and immigration agents to seize young children from their parents as they enter the United States illegally. Trump blames a “Democrat bill,” which doesn’t exist, for the policy. U.S. Attorney General Jeff Sessions says the Bible — as stated in Romans 13 — gives the Trump administration all the authority it needs to invoke this intensely cruel policy. Now we hear from, say, the Rev. Franklin Graham, one of the president’s most ardent supporters. Graham has declared his opposition to the policy. Oh, and then former first lady Laura Bush has weighed in with an op-ed column in which she declares the policy “immoral” and said it “breaks my heart” to learn of children being put in cages along our southern border. The current first lady, Melania Trump, has waffled a bit, calling on “both sides” to cease this humanitarian crisis. I understand the first lady’s difficult spot. But “both sides” aren’t required. Only one side is needed to fix it. That would be the president, who can end this hideous policy with a phone call and a signature. The president of the United States sauntered toward reporters this week and began tossing out more whoppers than they do at a well-known fast-food burger joint. OK, Mr. President. It isn’t a “Democrat bill.” It is no bill at all. We are talking today about a policy that the Trump administration decided to impose. The policy is a “no-tolerance” initiative regarding illegal immigration. It has resulted in the separation of young children — including toddlers and infants — from their parents who are caught entering the nation illegally from points south. Donald J. “Liar in Chief” Trump has pulled this “Democrat bill” idiocy straight out of his backside. Let me stipulate once again that I favor stricter border security. I favor the president’s goal to crack down on illegal immigration. I want people seeking entry into the United States to do so properly, legally and with all the requisite documentation. I oppose categorically the hideously cruel notion of taking children out of their parents’ arms, sending them somewhere while arresting Mom and Dad and holding them apart from their children. Congressional Democrats did not enact a bill that creates that situation. 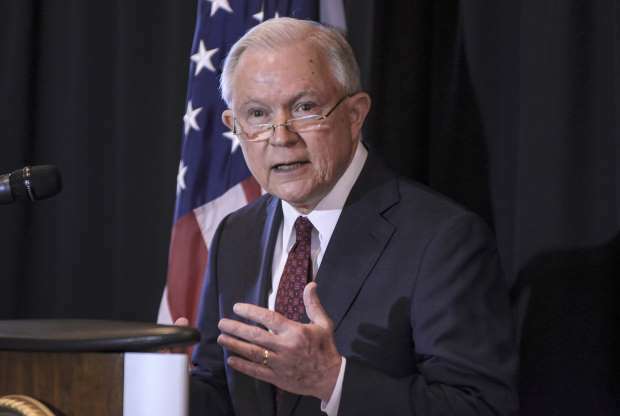 This humanitarian crisis is the creation of the Trump administration as explained by Attorney General Jeff Sessions. For the president to call it a “Democrat bill” once again is yet another demonstration that the head of state appears to be pathologically incapable of telling the truth. Maybe I should try to understand that a pathological liar cannot help himself. Aww, no. I don’t intend to cut the president any slack on this habit. I won’t even try. U.S. Attorney General Jeff Sessions should put his Bible away and open it again on Sunday when he’s in church. The Trump administration’s policy of separating children from their parents at the border is not in keeping with biblical principles. It is, as Cardinal Daniel DiNardo called it, an “immoral” policy. 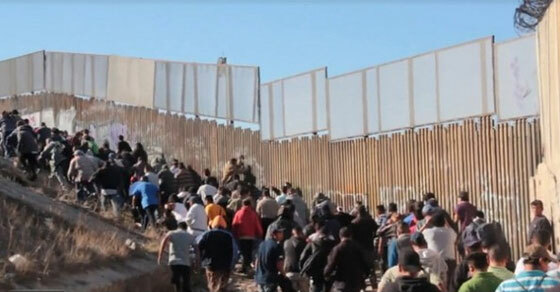 The administration has invoked this policy as a deterrent against illegal immigrants. Donald Trump doesn’t want illegal immigrants to enter this country. I join him in that regard. I want strict border enforcement as much as he does and as much as the attorney general wants it. Do we really need to separate babies from their mothers and fathers? Do we really need to torture these parents by keeping their children away from them while immigration officials sort out how to handle these individuals’ undocumented entry into the United States? Did the Almighty compel the separation of children — some of them infants — from their parents? I think that’s open to serious discussion. The administration has other responsibilities, too, according to Cardinal DiNardo, who said: “Our government has the discretion in our laws to ensure that young children are not separated from their parents and exposed to irreparable harm and trauma,” DiNardo said in a statement. Whoever leaked those phone transcripts of Donald J. Trump Sr. conversing with two world leaders deserves a medal. He or she has revealed to the world the utter ignorance of the man who now holds the title Leader of the Free World. That would be, of course, the president of the United States of America. A Vanity Fair article almost damn near explains itself. It concerns a chat Trump had with the prime minister of Australia; the other leaked transcript is of a phone conversation between Trump and the president of Mexico. I might have something to say about that one later. Read the article here. If you’re in the correct frame of mind, you’ll be highly amused. Or … you might be as horrified as I am. The conversation devolved into an argument stemming from the president’s inability to grasp precisely what Turnbull was trying to explain to him, which is that Australia couldn’t keep sending boat people to an island and asked if the United States could take some of them. Trump wouldn’t budge. Turnbull insisted that America had the right to deny anyone it wanted, that it didn’t have to accept every one of them. The deal in question was struck by then-President Barack Obama. It involved 1,250 refugees. Trump kept misconstruing the number. Turnbull said the number was fixed at 1,250; Trump either didn’t hear it or ignored it willfully. The conversation went on and on. 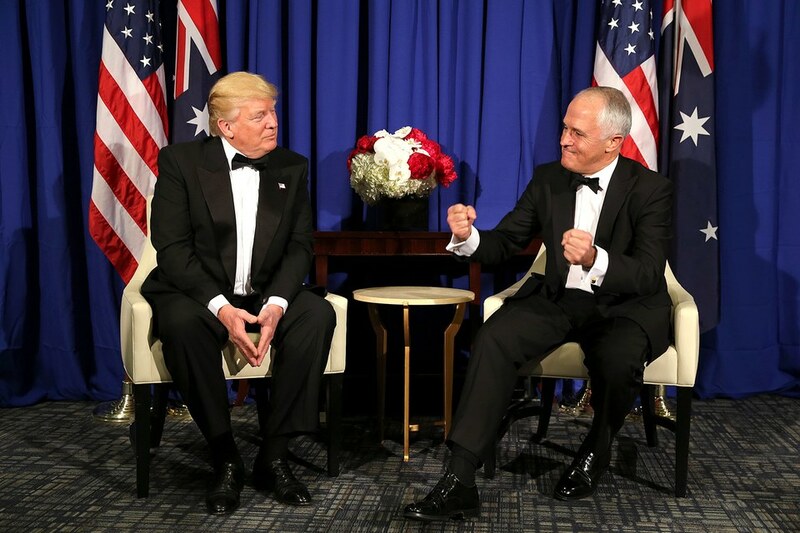 Turnbull tried his best to explain to Trump as plainly and simply as possible what was at stake. Trump was having none of it. The conversation is graphic insofar as it demonstrates Trump’s absolute ignorance of foreign policy. But the president “tells it like it is,” dammit!